By definition, a conducive learning environment is a platform devoid of both physical intimidation and emotional frustration, which allows for a free exchange of ideas. The key proponents of the learning process are teachers and learners, as such their freedom of interaction, safety and respect should be equally guaranteed within the physical and emotive environment they find themselves in. The first port of learning is the physical environment, which includes, but is not limited to classrooms. 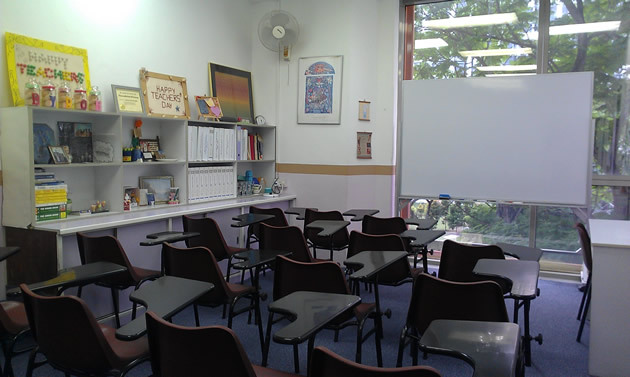 The classroom should be neat, well ventilated and spacious to allow for free movement. The chairs and desks should be arranged neatly to give the teacher a clear view of the class, with learners facing the chalkboard. All learning and teaching materials like chalks, books and charts should be at hand. The classroom should be safe to both the teacher and the learners. The smaller the classes, the more effective teacher pupil interaction is, and the more rewarding teaching becomes. Most learners also feel weighed down by larger numbers in classrooms. Emotions play a crucial role in both teaching and learning and therefore should be harnessed and embraced. Mutual respect is an indispensable ingredient in the recipe of learning, (Stronge: 2002; Wilen et al: 2004). A teacher who feels disrespected easily gets frustrated and is likely to deliver dismally; similarly a disrespected learner disengages himself/herself from the learning process. The learner should feel relaxed, respected, trusted, accepted and safe when his or her teacher is around. The teacher, therefore, should always be unintimidating, friendly, respectful, tolerant and accommodating for learners to warm up to him or her. He/she should be respected and not feared. Younger learners, especially the lower forms, tend to withdraw into their shells if the teacher exhibits aspects of intimidation and patronization. Under no circumstances should the teacher use disparaging remarks even to those physically or intellectually challenged, neither should he/she allow such remarks in the classroom. A marketer is quick to remind his customers that a good product sells itself, but its reputation is heightened through repackaging and constant advertising; and it is also indisputable that an experienced captain or pilot is a safety assurance to passengers. Credibility sells, thus the competent teacher should be aware that learners are not dullards, as they can easily discern mediocrity from excellence. The effectiveness of any learning method applied depends largely on the teacher and its worth is determined by results. If the results are always poor, then the trainer’s reputation dips, and the opposite is always true. His or her credibility both in deportment and delivery heightens reputation. As is the case with passengers on a plane, learners feel secure in hands they can trust, and that in itself regulates their behaviour and learning patterns. It is perilous therefore, for one to walk into a classroom clueless and ill prepared. Learning is an interaction of ideas whose effectiveness lies in the consideration of both the teacher and the learners as they all contribute to the outcome. The teacher may be the source of knowledge but is certainly not the only one, as learners also have access to other sources of information like textbooks, journals and the internet. In today’s globalised world the teacher should be the custodian of the knowledge that learners acquire as raw data elsewhere, guide them in the acquisition of such information and hone it, so that it becomes effective as academic knowledge. “Learners are conscious of what they want to achieve, and although they may not be certain of the how part of it, they definitely know what interests them as such the teacher should be privy to their goals so as to be able to “influence the nature of the activities they undertake, engage seriously in their study, regulate their behaviour, and know of the explicit criteria and high expectations of what they are to achieve,” (Queensdale Department of Education, 2005). What is of interest to learners is what appeals to them more, so they should be given a reason to listen, otherwise their attention will be drawn elsewhere. Active learning thrives on questions because questions are more important than answers (Terry Heich: 2014); as the philosopher Socrates posits that the best way to answer is to ask questions, and the scientist Albert Einstein concurs that the best strategy in the acquisition of knowledge is to keep asking questions. The competent teacher, therefore, should not force his or learners to ask questions, but should encourage them to freely ask them according to their understanding of the concepts taught. Learners who ask intelligent questions are encouraging as they propel the lesson forward, as opposed to passive absorbers of information. There are a plethora of reasons why learners may not ask questions which include lack of understanding of the objectives outlined because of poor delivery on the part of the teacher, lack of interest from the learners, or satiation; the presumed satisfaction of the learner. Good questions will always lead to discussions and interaction of ideas between the teacher and the learners and hence, should be paramount in the learning process. The classroom functions as a community, where everyone plays a part, with the teacher being the head; in control and commands respect. Free interaction should be the hallmark, so that every member is given a chance to air his or her ideas. Regardless of their different backgrounds, learners are equal, as should be reflected through group work and emphasised through-out the learning process. All contributions should be respected to encourage participation and foster a sense of belonging. Use of the same learning models time and again, reduces the classroom to a cell of monotony and boredom. Suspense and surprise are key elements in the attention span of the human mind; hence, every lesson should be a new experience. Learning should not always be direct instruction based; neither should the same sources of information used over and over again. Textbooks, especially those that learners take home, usually rob the learning process of ingenuity and novelty, not that they are bad; far from it, but they do not bring anything fresh. They should be complemented by other sources of information like magazines, newspapers, journals and up to date online websites. As has been discussed earlier on, the teacher is not the only source of information in the modern classroom, but is the one whose knowledge of information use and dissemination is vital. Learning can be inquiry based, project based, presentation based, peer to peer inclined or school to school based, because the whole idea is to keep it as interesting as possible. With lower forms it can also be game-based as learning through play engages and consumes their young minds. Learning is not only about talking and asking questions, but also involves answering them. Some learners may ask intelligent questions but find it tasking to answer them, because of lack of answering skills, notwithstanding the vast information they may have on a particular subject area. Some need more time than others to internalise information, thus, practice becomes imperative. Cognitive and non-cognitive behaviours apply differently in different situations; as such the teacher should be sensitive to the intellectual abilities of his or her learners. Although practice may be said to make anything perfect, it should not reduce individuals to automatons, who behave in certain ways at the touch of a button. Areas visited should be revisited until all concepts are internalised and objectives met. However, too much of anything may become poison so information overload should be avoided, as concentration span of the human mind is not elastic. One should know when to call it a day and when to push on. Assessment is important in gauging progress, and can only be ignored at the learning process’ peril. Whatever the outcome, assessment should not put a damper on the learners’ enthusiasm to learn. Marks may be low, but the individual learner may exhibit noticeable improvements in some areas; and it is on such areas that encouragement should be, though weak aspects should be pointed out, albeit, in an encouraging way. Learners should also be rewarded for outstanding performance, improvement and consistence as a way of motivating them. The prizes may not be that fancy, but simple ones like sweets, chocolates, popcorn, exercise books or the like, but their prestigious value far outweigh any monetary value that one may think of. It is the reason for being rewarded that is important and not the value of the prize.